⚽⚽⚽ Marcos Pimenta discusses some of the Raman and laser work he's done on nanotubes. Hello and good morning. 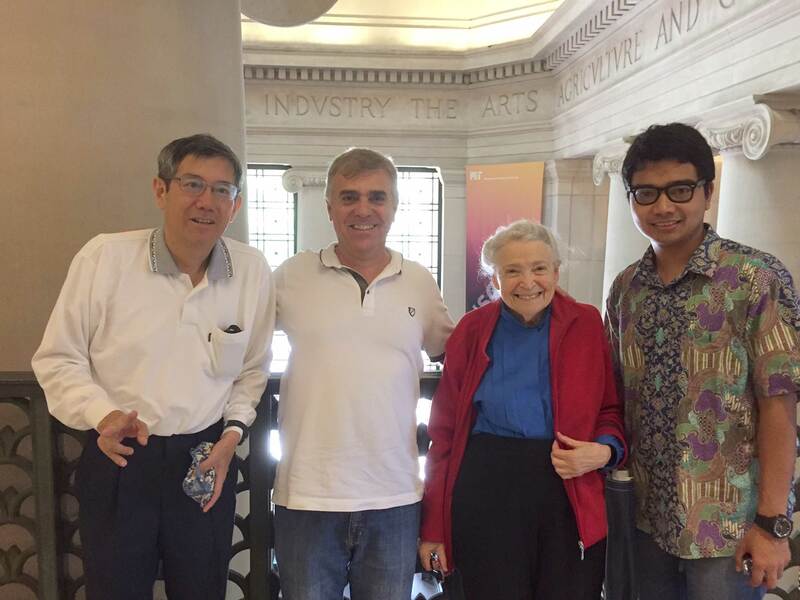 It’s a great honor to be here at this special workshop for Millie Dresselhaus. In fact, the subject of my talk is not exactly nanotubes but new 2D materials. 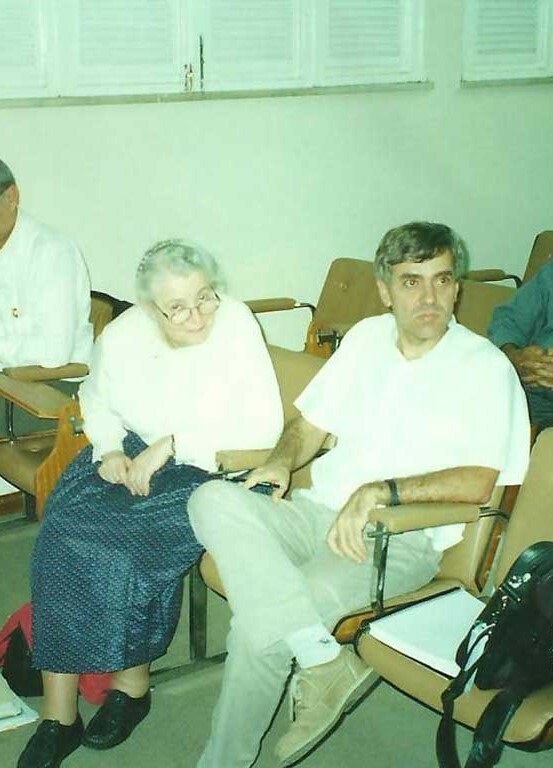 I will start by talking briefly about some of my early work with Millie Dresselhaus. 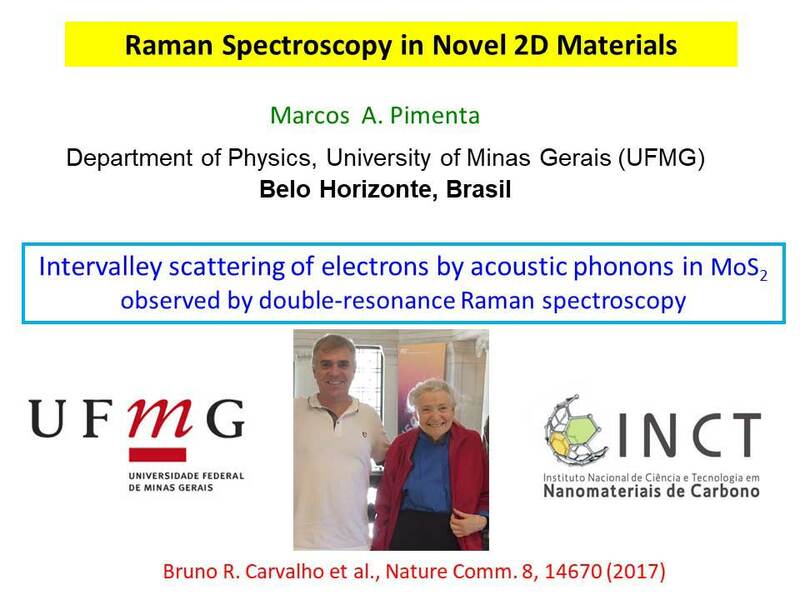 Then, I will talk about the recent work that my student, Bruno Carvalho, has done into the intervalley scattering of electrons by phonons in molybdenum disulfide observed by double resonant Raman spectroscopy. Finally, I will finish the talk by showing more photos of Millie and telling more stories. So if you’re only looking for Millie stories, remember to read the top, and then scroll down to the end. My history with Millie started exactly 20 years ago, in 1997. 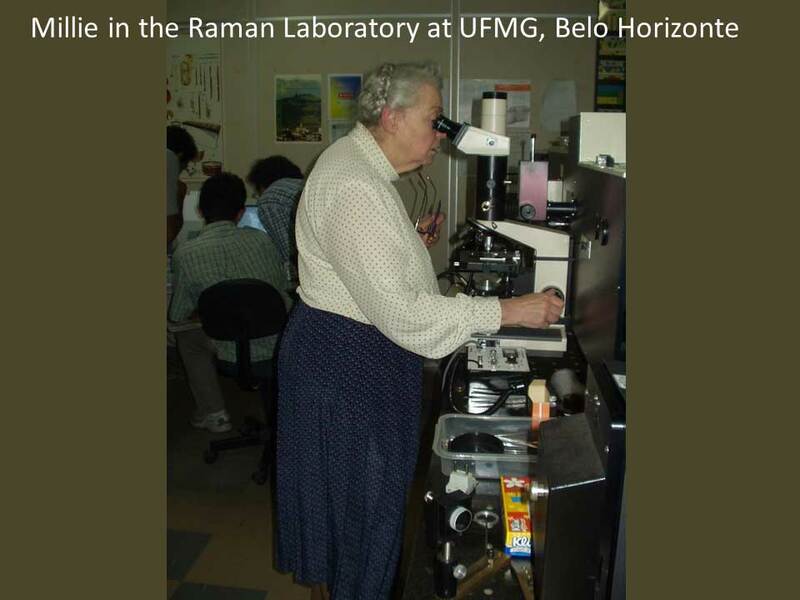 At that time, I had one Raman laboratory in Brazil, where I was mainly working on phase positions in crystals. Back then, it was considered to be an old subject. Of course, now, with perovskite, it has become a hot topic, again — but then, it was an old topic. 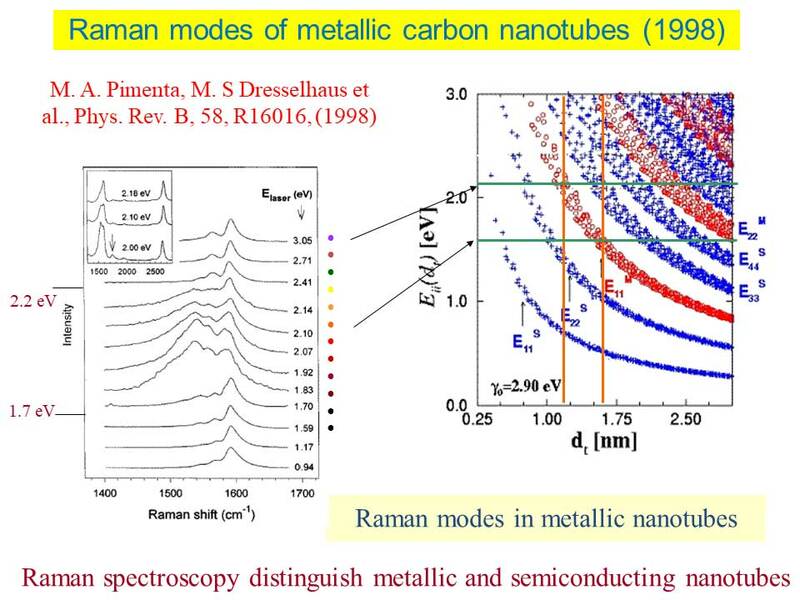 At that time, I decided to take a sabbatical in the US, and I thought that I might like to research Raman on fullerenes. 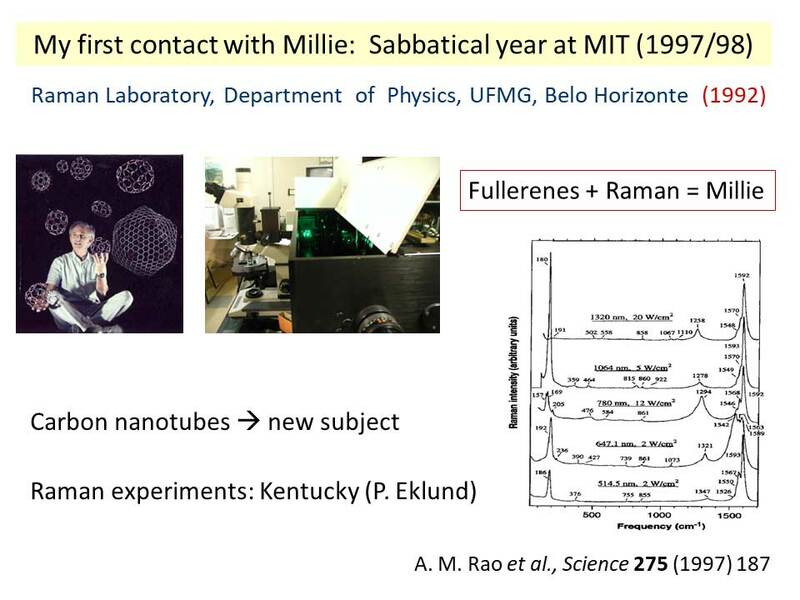 I was flipping through a physics abstract book, trying to find the intersection of both fullerenes and Raman spectroscopy — and that’s how I found out about Millie. I didn’t know Millie at all back then, but I still wrote her an email, expressing my interest. Millie told me, “Okay, but carbon nanotubes are a new subject and you should look into it. The experiments are going on in Kentucky.” Then she forwarded my message to Peter Eklund in Kentucky. But then she sent me a pre-print of this paper by A.M. Rao and Peter Eklund. 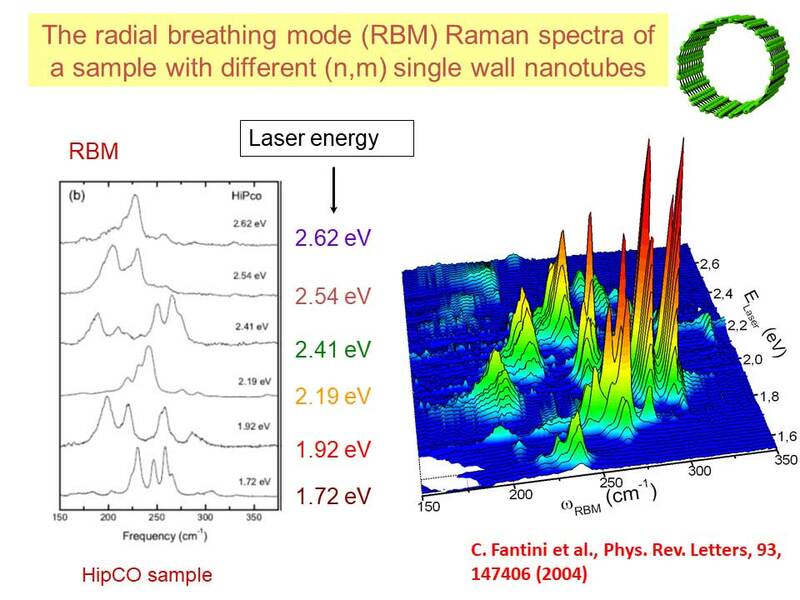 I think that’s the first paper about the Raman spectroscopy in single-walled nanotubes using different laser lines. The one thing that astonished everybody about it was that, when the same sample was recorded with different laser lines, the spectra were completely different. Then I came to MIT. This is the picture that Hui-Ming showed. 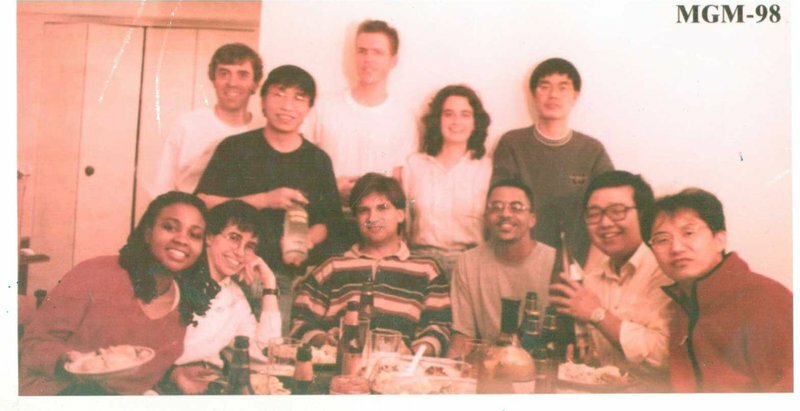 You can see Taka from Japan, Hao Xin, Manalibo (Ibo) Matthews, Marcie Black, Steve Cronin, Xiangzhong Sun, myself, Alessandra Marucci and Sandra Brown. 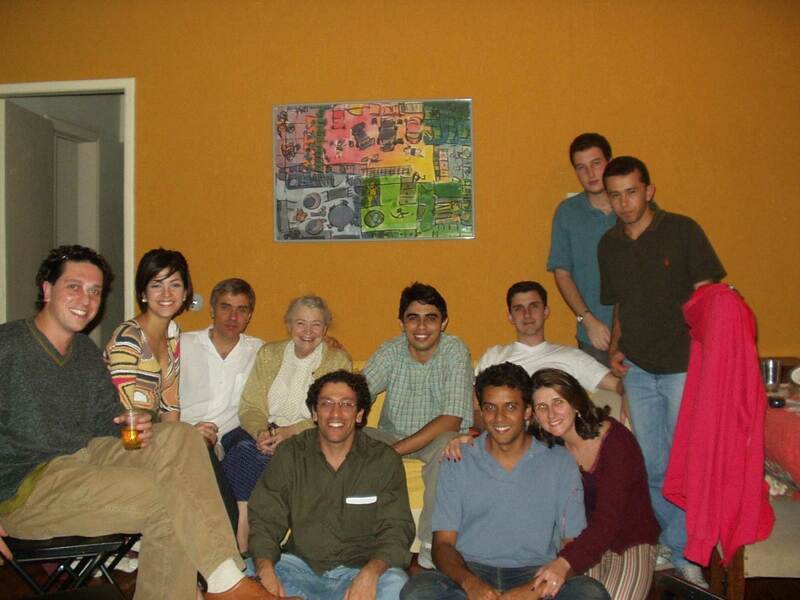 This was the MGM team, back then. Then we decided to do some experiments looking into this. This is the second work that I did with Millie Dresselhaus. In it, we measured the spectra with many different lines, and the color of the circles in the figure are the colors of the laser light, from the UV to the IR. We could see that in the range in which we used red to yellow laser lines, the spectra were completely different. 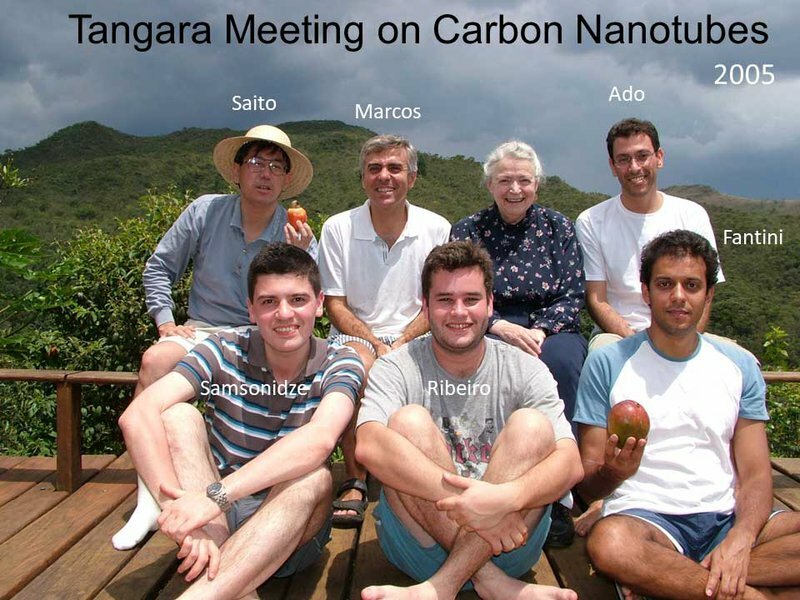 From this work, we could figure out that it was actually the signature of metallic carbon nanotubes. This plot represents the resonance energies of the nanotube as a function of its diameter: the blue dots here are semiconducting nanotubes, the red dots are metallic nanotubes. 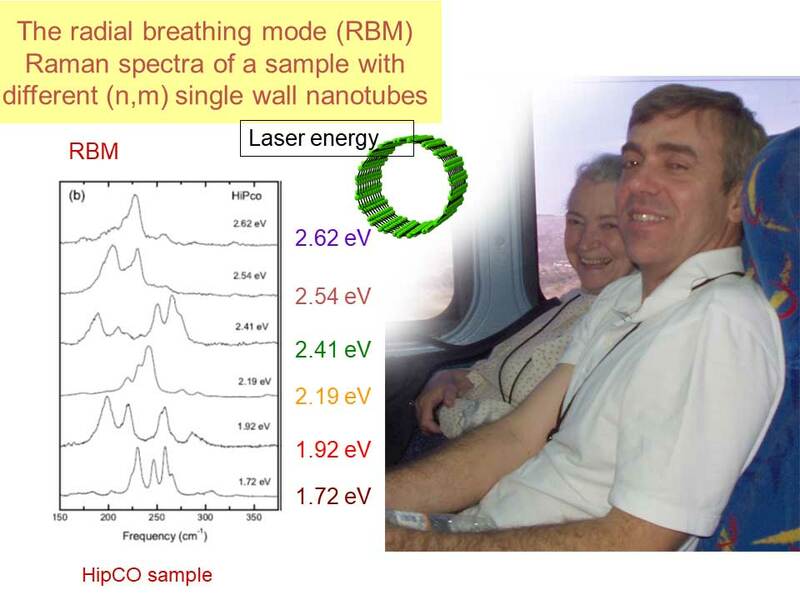 The new mode observed in our experiments appeared in the range of diameter and energy of metallic nanotubes. 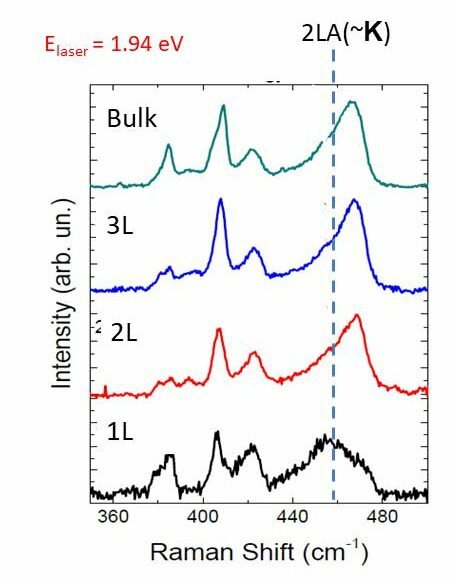 We showed that Raman spectroscopy was able to distinguish metallic and semiconducting nanotubes. But then, for the radial breathing mode, it was very strange. 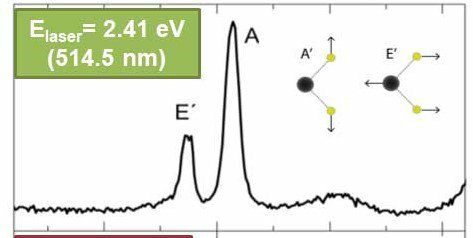 By measuring the same sample with different laser lines, the spectra were completely different, and it was very hard to understand why. Then, we came up with the idea that we would need to use some sort of tunable laser — not only discrete lines but also tunable lasers. That’s what I did when I came back to Brazil. We bought some systems to do tunable laser spectroscopy. This is Millie in our lab in 2002 and this is the Tunable Laser laboratory. And you can see, here, Millie is working in our lab and looking at all the samples. Using this tunable system, we could obtain this colored map. Basically, instead of using just a few laser lines, we used about eighty different laser lines. 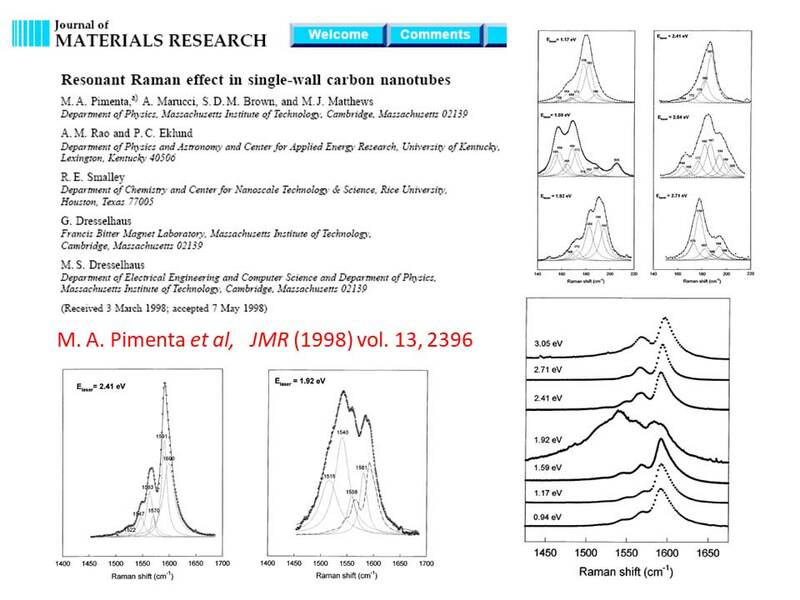 We could assign each one of those peaks in this map to a specific (n,m) nanotube, by looking the Raman shift and the laser energy. After that, we used this methodology (which we’re still using) to study many different samples of carbon nanotubes and other materials. Actually, I had a side project in 1999, during my sabbatical year, and I wound up working with Ibo Matthews. He was working with some samples of this disordered graphite — a sample made by Professor Endo-sensei in Japan. We were interested in the so-called D-band. This is the spectra of disordered graphite with three different laser lines. We can see that the disordered induced band (D-band) is dispersive. This is something completely different from the usual behavior in Raman spectroscopy. 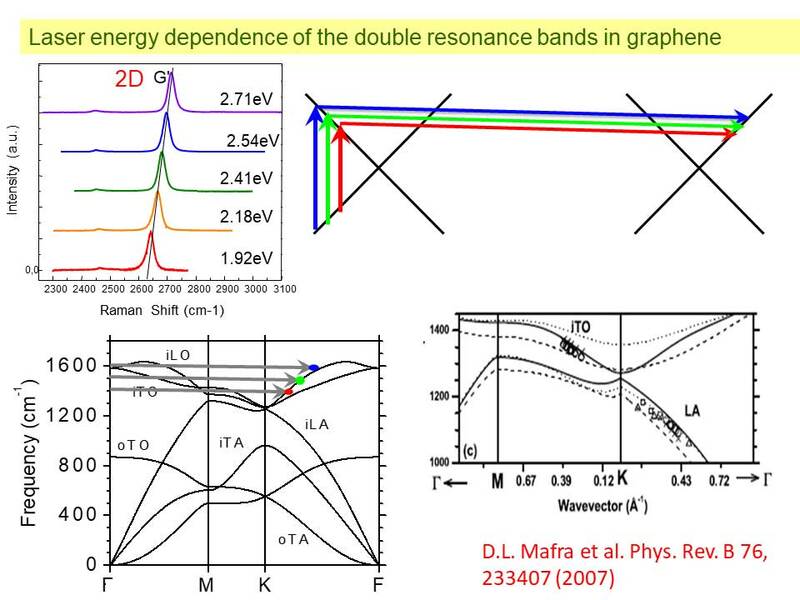 We started to study the D-band and the second order — which we called the G'-band. This figure in the right side represents the frequency of the band as a function of the laser energy. In general, Millie was so very kind and accepting, but there was one specific thing that upset her — the name of this band! Millie felt very strongly that it should be called the G'-band. However, a group in the UK (I believe) decided to call it the ‘2D-band’. They called it the 2D-band because its frequency was two times the D-band frequency. But the issue is that the 2D-band does not required a defect (D is for defect). Then Millie said, “Okay, so 2D is not correct.” Unfortunately, now, most people are using the term ‘2D-band’ and it’s probably becoming fairly universal. I know Millie wanted us only to call it the G'-band, but… sorry, Millie. 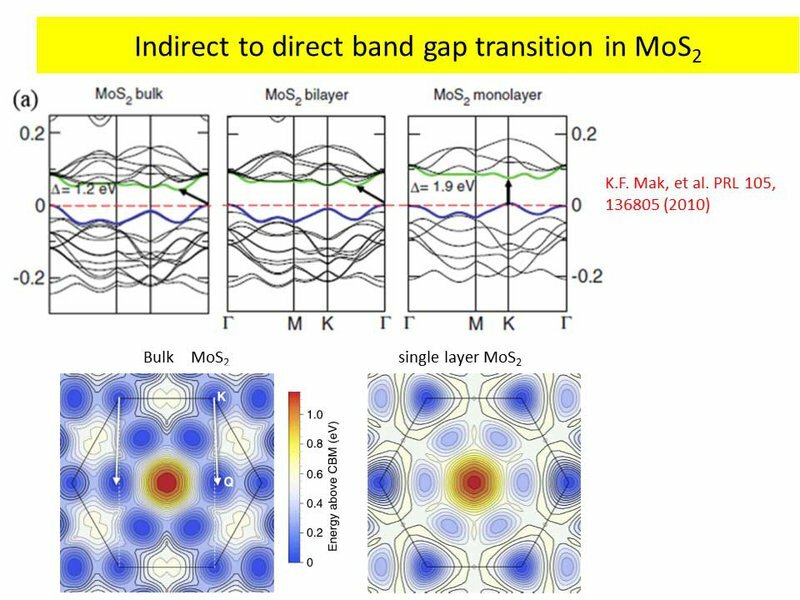 The origin of the 2D-band (or G'-band, as Millie would say) was explained in different papers by Baranov, Thomsen and Reich in Germany — and in a very important paper by Saito-sensei, in fact, it was explained by ‘intervalley scattering’ process. This is the electronic structure of graphene. We have two valleys at the K and K'-point. 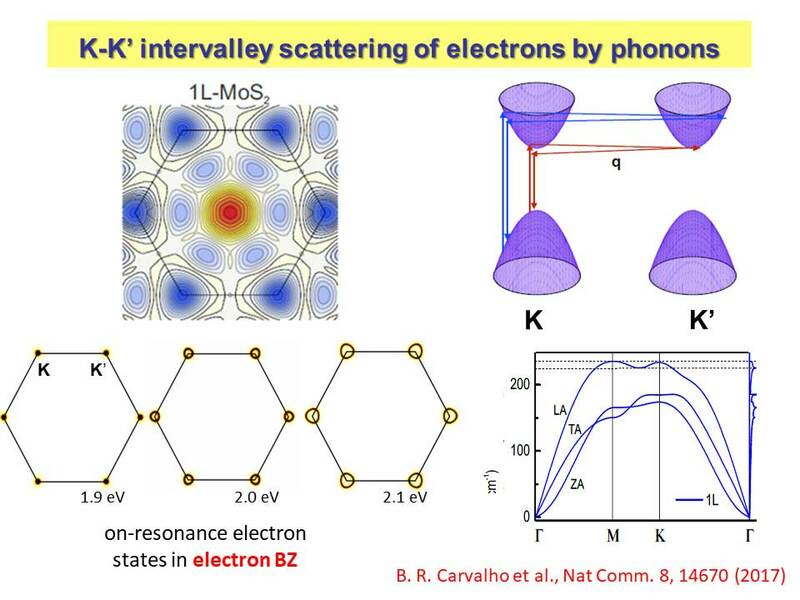 In fact, the G'- or 2D-band come from a process in which one photon creates one electron-hole pair, but then the electron is scattered from the valley K to the valley K'. 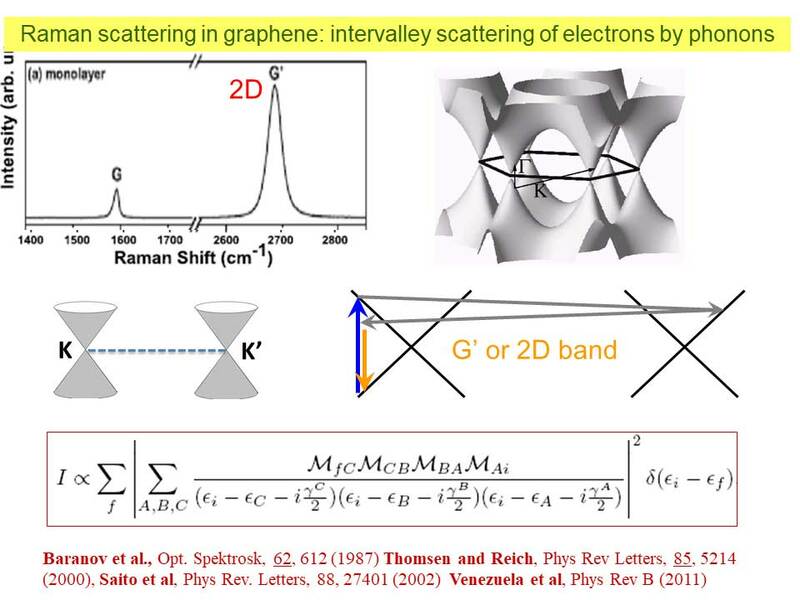 This is a special kind of scattering of electrons by phonons in graphene, and below we show the theoretical expression. I don’t have time to explain it fully, but in short, this is an expression of the so-called double resonance process. So looking at all that, the intervalley process in graphene is well explained. The fact that the band was dispersive was because for each photon — a red photon, a green photon, or a blue photon — the wave vector of the phonon was different. Basically, the wave vector of the phonon probed by this photon depends on the photon energy. What we are probing is the phonon dispersion, here, in the TO branch — transverse optic phonon branch. By changing the color of the laser, we’re probing phonons at different points in the Brillouin zone. 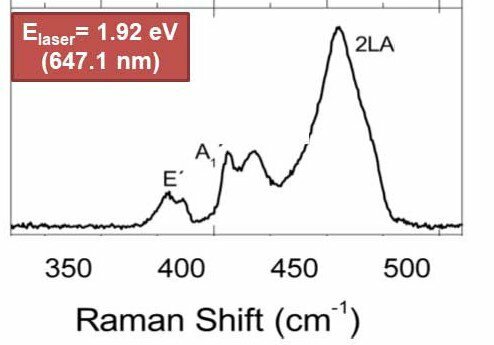 We could then use Raman spectroscopy to get some experimental results on phonon dispersion in graphene. I would just like to talk for a few minutes about the next stage of this work. 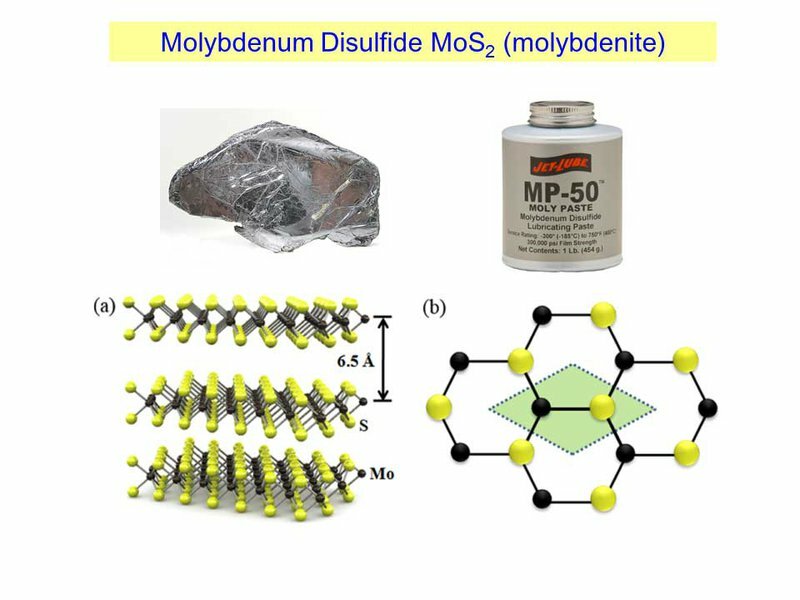 I will talk about molybdenum disulfide (MoS2). That’s a mineral that we can exfoliate up to a single atomic layer. 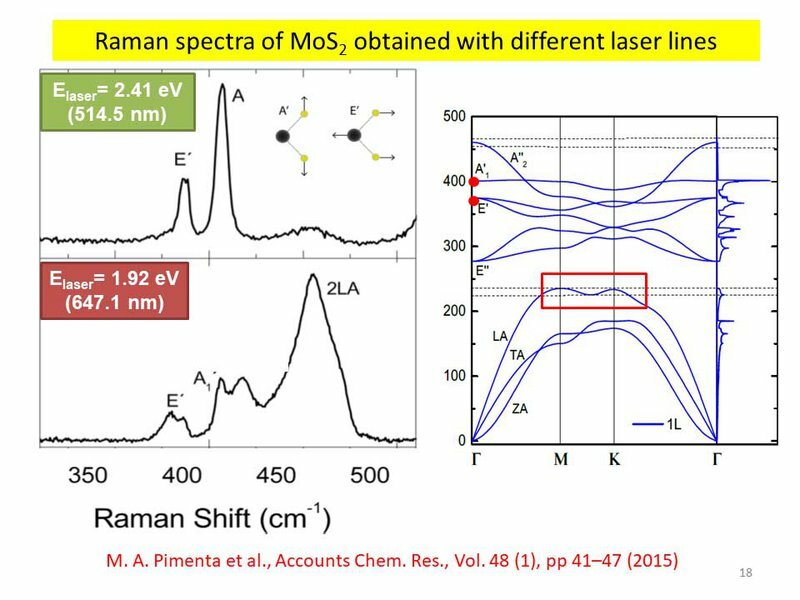 This is MoS2. It’s used as a solid lubricant, too. There’s a very important paper by K.F. 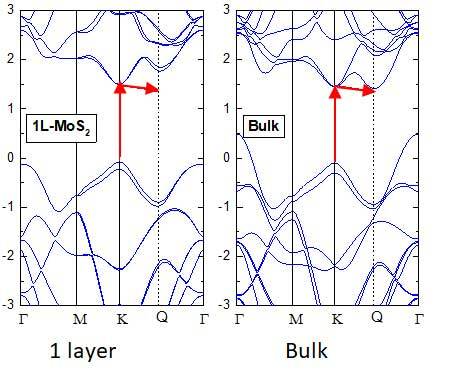 Mak and Tony Heinz’s group, published in 2010, in which they showed that when you have bulk (or quite a few layers), MoS2 is an indirect gap semiconductor. 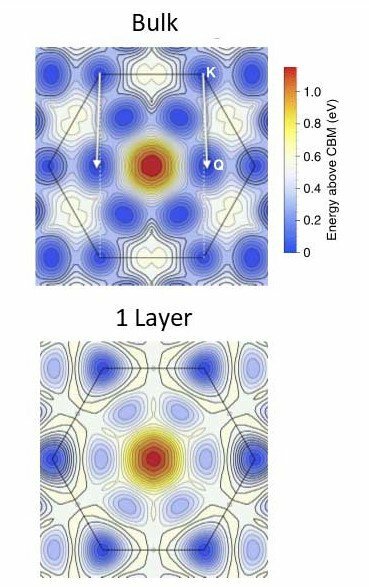 But when you have just one layer, it becomes a direct gap material that emits light very strongly. Here, I’m just showing the bottom of the conduction band. When we have bulk, we have valleys at the K-point, like graphene. But we have valleys at the Q-points, too. So, in bulk: valleys are at the K-point and the Q-point. But when we have a single layer MoS2, we only have valleys at the K-point. 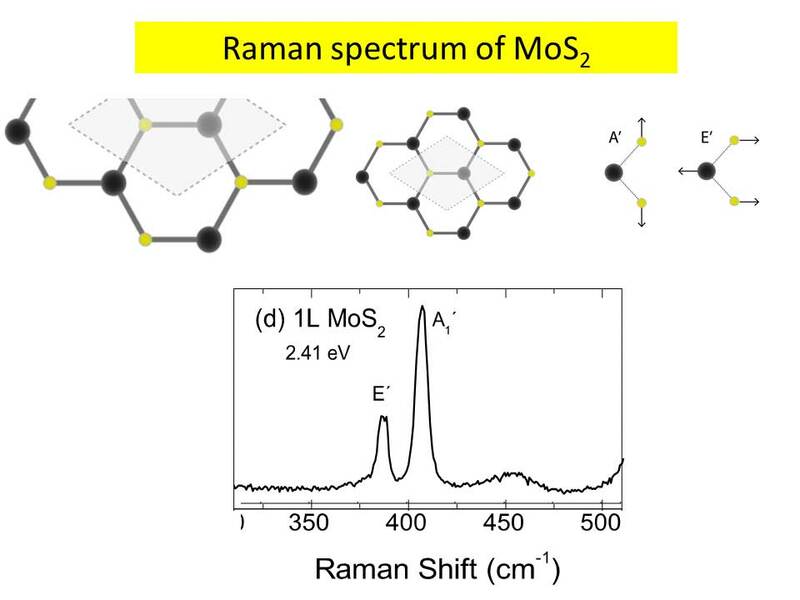 This is the Raman spectrum of molybdenum disulfide, recorded with green light. We have two peaks, which are the two modes associated with the out-of-plane vibration of the atoms (the A) and the in-plane vibration of the atoms (the E and A). 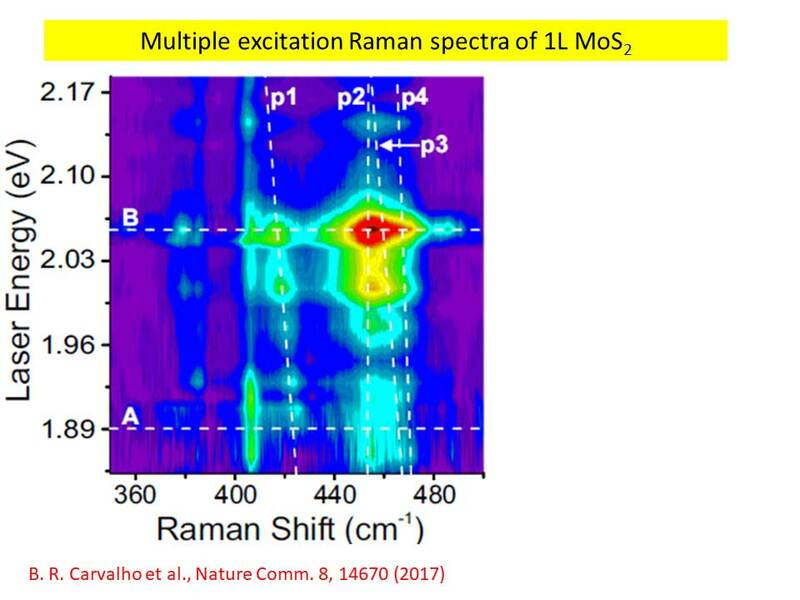 This is a very normal Raman spectrum. But this same sample is excited with a red laser. Notice that exciting the sample with a red laser makes the spectrum look completely different than it did with a green laser! We wind up getting this very strong peak in the red laser. That strong peak is similar to the G' prime peak of graphene. This is about two times the frequency of the acoustic phonons near the M and the K-point. You can see, on the right, that the frequency of the acoustic phonons is 230, so two times the frequency would be 460 — which is what we calculated in the graph presented (see above). However, the shame of it was that, at the time, nobody knew exactly what the origin of this peak really was. 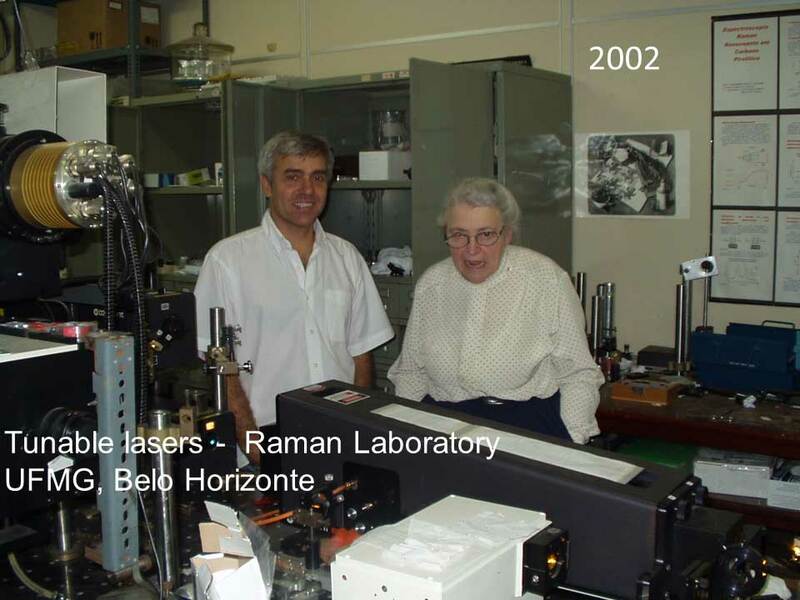 Then, in our labs in Brazil, we created experiments using multiple excitation Raman spectroscopy, which we could do using Tunable Laser systems. 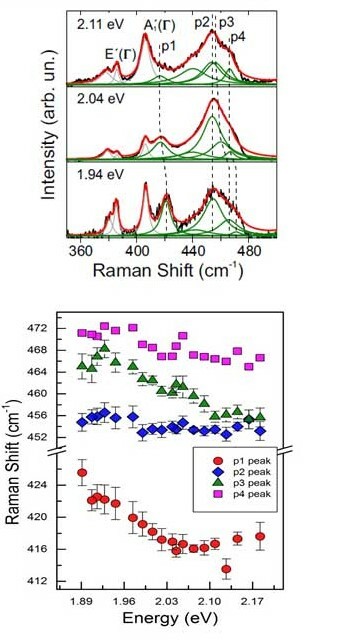 On the slide, you can see the Raman shift and the laser energy. The intensity is given by the color scale. Looking at this, we could see that some peaks were dispersive. 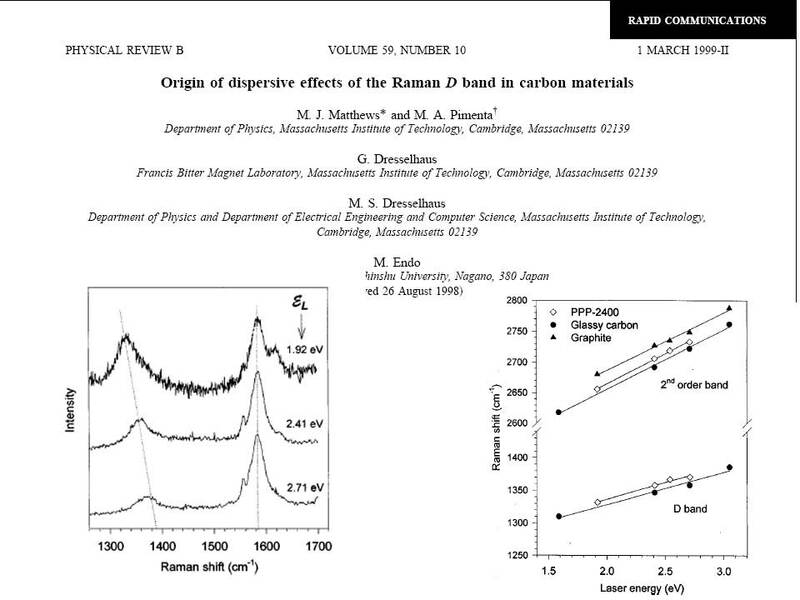 Just like the D and the G'-bands were dispersive, these were dispersive, here! By doing the deconvolution of the band, we could obtain the position of those peaks as a function of the laser energy. We established that although some peaks were not dispersive as part of their normal behavior, some of them really were dispersive. This is a signature of the K/K' intervalley scattering by phonons — in this case, by acoustic phonons. Similar to the case of graphene, when we change the color of the laser, we change the wave vector of the phonon. For example, if you look at the locus of resonant processes for red and yellow lasers in the diagram on the slide, you can see why we’re looking for phonons near the K-point. This is the simulation that was done by Yuanxi Wang at Penn State. We could prove that, in the case of molybdenum disulfide, the double-resonance process involves phonons near the K-point of the LA branch. However, when we did the simulation, we got a very interesting result: although this band has about the same shape when analyzing both 2 & 3 layers of MoS2, in the case of one layer of MoS2, the shape was completely different! What’s going on? What’s different between one layer and 2-3 layers? What’s different is simple. In the case of 2-3 layers, we have valleys both at the Q-point and the K-point. In one layer, on the other hand, we only have valleys at the K-point. In one layer, we have the scattering from the K to the K'-point, but in the case of bulk (2-3 layers), we can also have scattering from the K to the Q-point. The phonon that scattered electrons from K to K' is near the K-point, like in the case of graphene. But now, for the phonon that scatters the electrons from the K to Q, if we translate the wave vector to the center of the Brillouin zone, then we see the phonons that are nearer to the M-point! We did some calculations about this, and our calculations showed that in the case of one layer, we only see phonons at near the K-point, but in the case of bulk, there is a valley at the Q-point, and it is possible to have an intervalley scattering between the K and Q valleys. Intervalley transition from the K-point to the Q-point involves phonons at the M-point. Inside this work, we showed that we could finally explain the dispersive behavior of the double resonant Raman process for molybdenum disulfide, and comparing the single layer and bulk spectra, we can distinguish a scattering process from K to K' and K to Q. Now, I’m reaching the end of the talk. For all the specific work I’ve mentioned today, I’d like to acknowledge my collaborators in the lab. Thank you, all. Now, I’m going to move on to more Millie. This is my last picture with Millie. 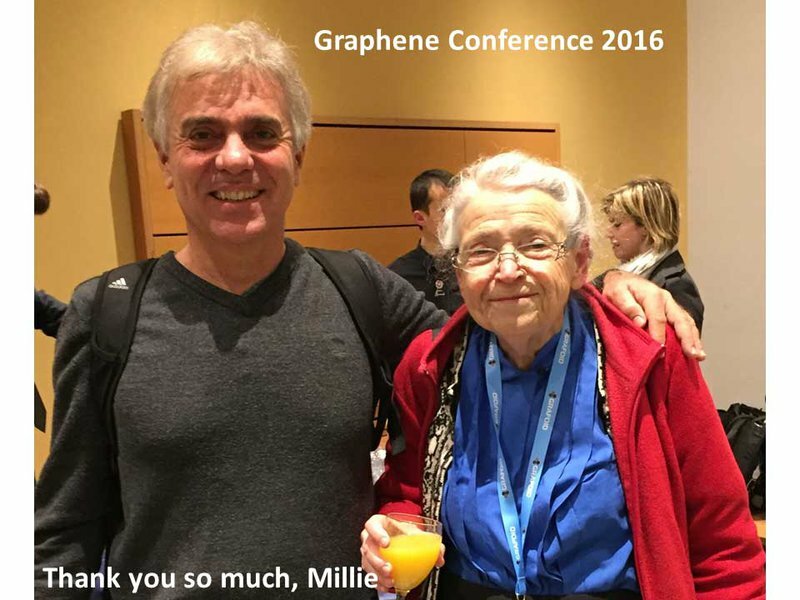 It was taken last year at the graphene conference, and I was fortunate that I had the opportunity to take some pictures with Millie — I almost didn’t, due to the gigantic numbers of students all clamoring to take pictures with Millie! Laura asked what sorts of things Millie liked, when she came over. 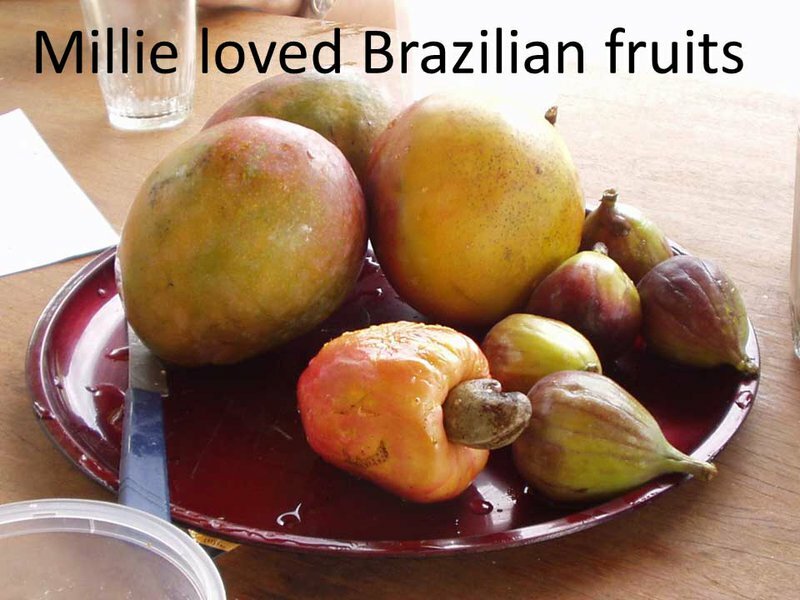 Well, the thing Millie loved most, in Brazil, was its fruits. Lots and lots of fruits! Here are some other pictures. 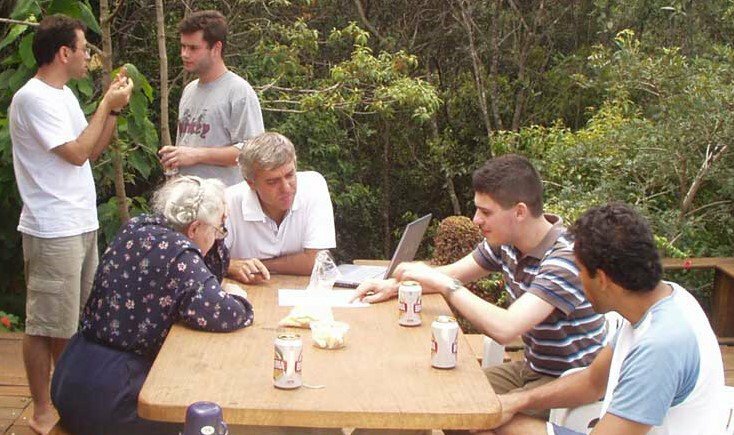 This is a picture of some of the meetings that we used to hold in the countryside. You can see Ado, Georgey, Fantini, and others, here. 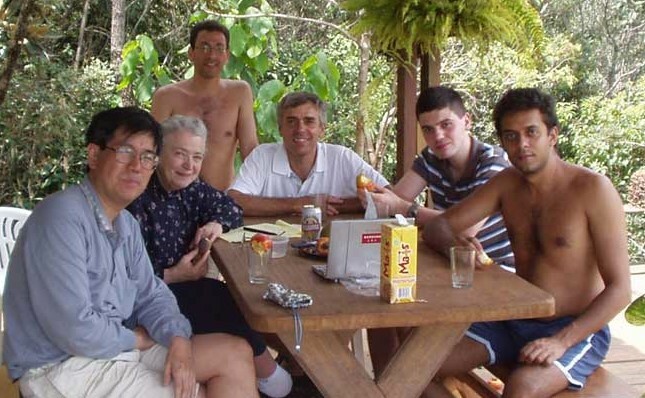 Here is another picture taken in Brazil. Therefore, Millie came with us and accompanied our group and Saito to the waterfall. We all went into the water — but we assumed Millie wouldn’t. But, again, Millie surprised us! The result was this photograph. Here, we can see Millie standing in the water of a beautiful nearby waterfall, wearing no shoes. It just goes to show — Millie was always full of surprises. Esko Kauppinen: Thank you Marcos. He’ll now take questions, if you have any. Question Asker: What waterfall is that? It’s not Iguaçu? Marcos Pimenta: No, no, no, no. Iguaçu is much bigger. Question Asker: For the single layer, you have the new mode. To me, it looks like there isn’t just a single peak, but two different kinds of components. Can you explain this? Marcos Pimenta: You’re exactly right. This peak actually has different contributions. 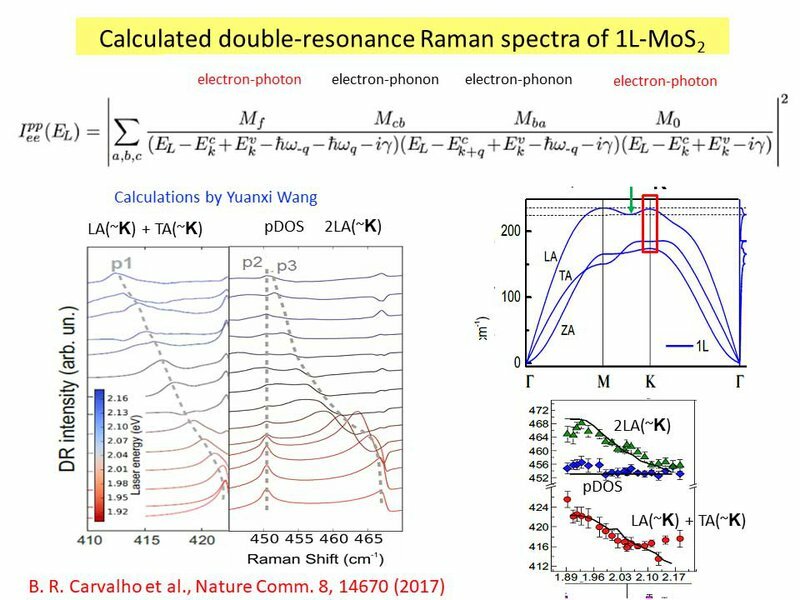 And yes, for the single layer, we have one-on-one contribution that we call the 2LA(∼K) phonon, and we have also the maximum phonon density of states that is not dispersive. We have other peaks that are LA(∼K)+TA(∼K). We also have the contribution of the phonons near the M-point. In that case, it’s convolution of many different processes. In the past, I know some people used to fit this band with a Lorentzian curve, but it’s not really correct to do that, because it’s a double resonant process — a second order process — and the peaks are not necessarily symmetric. So you can see that it’s much more complicated. You need to take care, if you try to fit using a sum of Lorentzian curves. We used a sum of Lorentzian curves in our research, only to distinguish the different processes — but this is not rigorously correct because it’s a second-order process. It’s a convolution along the Brillouin zone, and that’s why the peak is not symmetric. Esko Kauppinen: One more question. Question Asker: Hi. Wonderful talk. I was wondering if you've done any work trying to time-resolve the scattering behavior that you're seeing. Because, if you’re seeing scattering from one state to another, it would be interesting to see if it’s more electronic dominated or if it might not be based on the time scales. Correct? Marcos Pimenta: Yes. 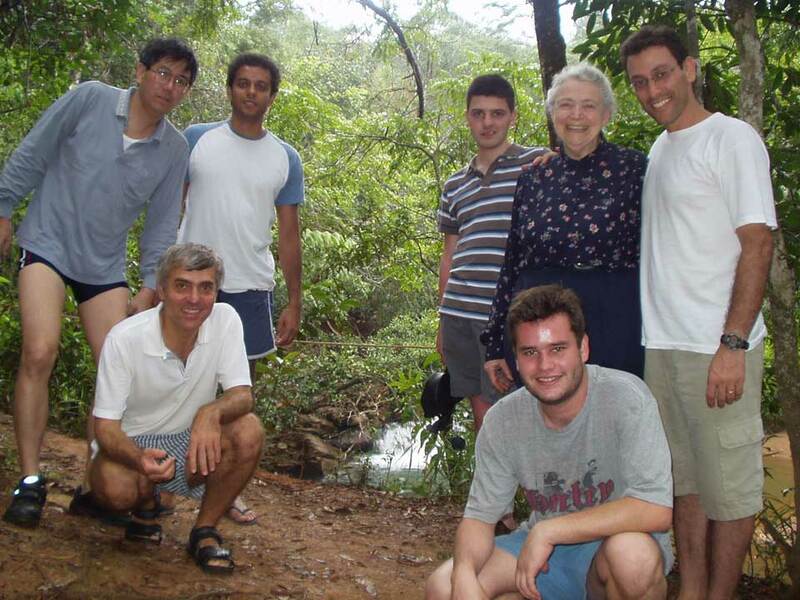 Professor Tony Heinz and others are doing time-resolve experiments in this area, I believe. Our group, unfortunately, is not. 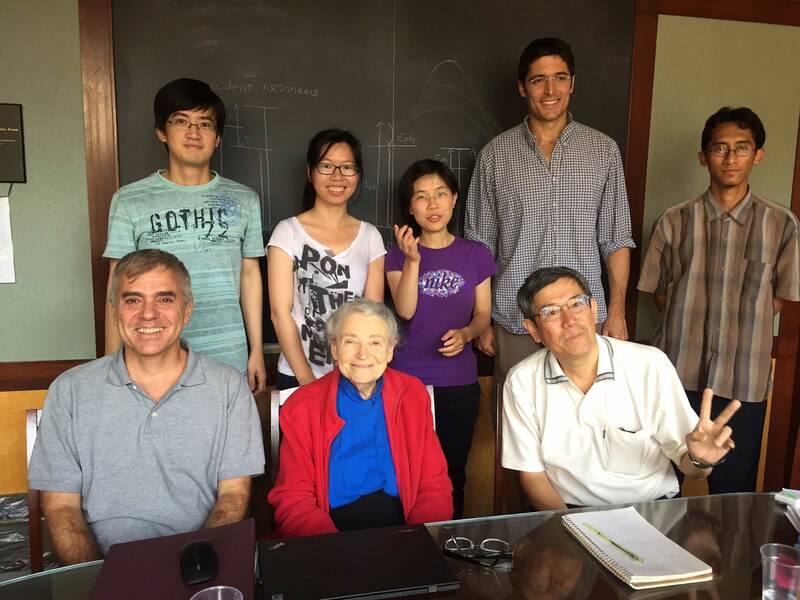 We know that, when time-resolve experiments are done in this area, Tony Heinz’s group and others can see the beginning of electron-electron interactions with the electron-optical phonons, electrons, and acoustic phonons. I would imagine it might be interesting to study this special feature using time-resolve spectroscopy, but — as far as I know — this has not been done, so far. Esko Kauppinen: I think for the sake of the time, we should move on. Let’s thank the speaker. Thank you, Marcos.